Tim Burton and Johnny Depp have partnered for the seventh time. 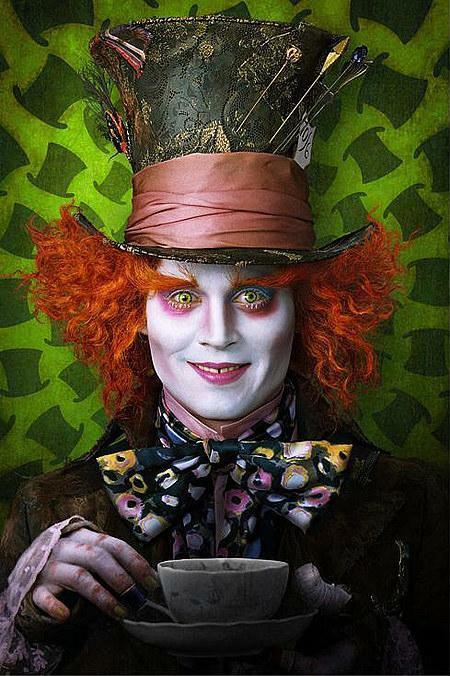 This time for a remake of Alice in Wonderland and the first pictures of the film look absolutely fantastic. Follow this link to see pictures of the White Queen (Anne Hathaway), Tweedle Dee and Tweedle Dum (Matt Lucas) and the Red Queen (Helena Bonham Carter, in yet another perfect role). Until we can see some footage for what is guaranteed to be a trippy and cool adaptation of Lewis Carroll’s book, here is a clip from the Disney 1951 animated film. Alice in Wonderland will be released March 5, 2010.